HR professionals aren't taking full advantage of three "obvious" ways to ensure their organisation has the right talent, according to Deloitte's 2019 global human capital trends report. The report, based on a survey of nearly 10,000 people from 119 countries, found the top talent acquisition challenges in Australia are: taking too long to onboard employees (62%); sourcing qualified experienced hires (58%); and ineffective recruitment technology (58%, compared to just 26% globally). These findings indicate that HR needs a new approach to recruitment, the report says. "Rather than automatically opening a job requisition when a manager needs a role filled, it's time to think about how organisations can continuously 'access talent' in varying ways: mobilising internal resources, finding people in the alternative workforce, and strategically leveraging technology to augment sourcing and boost recruiting productivity." These three tactics might seem "obvious on the surface", it notes, but "none of them have been tapped to their fullest potential to date, making them some of the most promising ways for organisations to go after needed talent". First, HR needs to look more strategically at internal talent mobility – an area where organisations have "much room for improvement". Some 45 per cent of survey respondents say their employees lack information on available internal roles, so the report says it isn't surprising that 56 per cent think it's easier for people to find a new job at an outside organisation than with their current employer. Next, the "alternative workforce" provides HR with an opportunity to immediately bring capabilities into the organisation to deliver on specific outcomes. But while 41 per cent of respondents believe the alternative workforce is important or very important, only 28 per cent feel ready or very ready to address it. "The third, and the potentially most transformational, way to find more qualified talent is to leverage new technology," the report says. "Why the most transformational? Because it is the area where recruitment [functions] are the furthest behind." 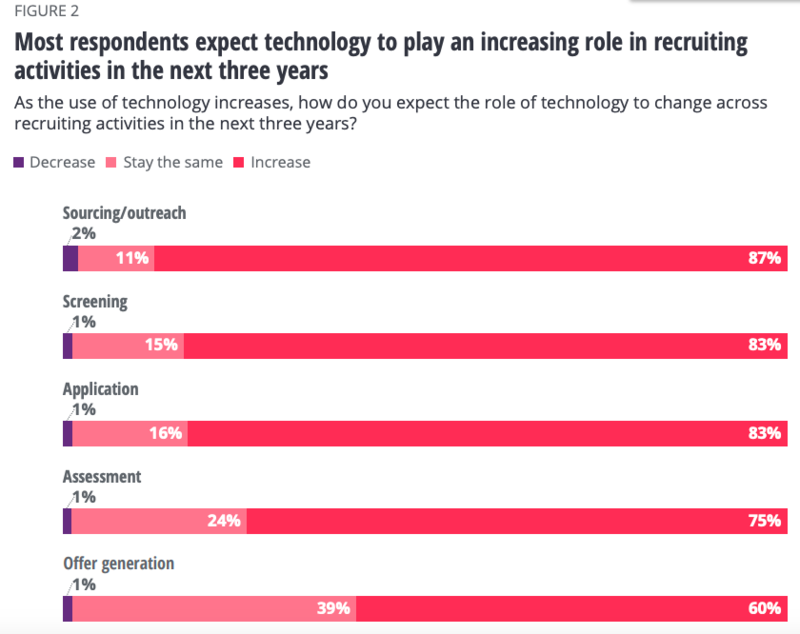 This has the potential to change quickly, however, with most respondents expecting technology's role in recruitment to increase. Source: Deloitte. Some percentages may not total 100 per cent due to rounding. These findings show using data to find, source, and select candidates more efficiently is one of HR's biggest opportunities, the report says. To win the war for talent, it says, HR needs not only to reinvent the talent acquisition process, but also the talent acquisition mindset. "To do this, organisations should rethink how to access existing talent, reset traditional expectations on where talent can be found and what it looks like, and rewire the recruiting process by taking advantage of advanced technologies like AI." Another top human capital trend for 2019 is for organisations to change the way employees learn. The report says learning is evolving by becoming more integrated with work, more personal, and slowly shifting toward lifelong models. Nearly all Australian respondents (91%) see this reinvention as important or very important, yet just eight per cent rate their learning culture as "excellent". "Effective reinvention along these lines requires a culture that supports continuous learning, incentives that motivate people to take advantage of learning opportunities, and a focus on helping individuals identify and develop new, needed skills." 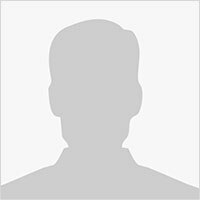 The importance of internal, enterprise-wide talent mobility is also "paramount", the report says. But just 12 per cent of Australian respondents describe their internal talent mobility opportunities as excellent, while 35 per cent rate them as "good". "At leading organisations, mobility should be perceived as a natural, normal progression instead of as a major change in one's career; opportunities to move should be extended to workers at all levels, not just managers and team leaders; and technology should enable a streamlined mobility process for moves between functions, jobs and projects, as well as geographies." One organisation embarking on a major internal mobility project is CBRE. Read about its goals for the process and its HR team's broader innovation agenda in this premium article – upgrade here for access if you're not already a premium member.